Up until a few hours ago, I had a Personal Trainer who is extremely skilled in what he does and I am sure he delivers results. But as I said, this was up until a few hours ago, when I realised that there is definitely a mismatch between his level of professionalism and skill level. In a group training session he lost his temper with one of the ladies in our group who made a joke, humiliated her in front of the class by telling her she has a mean streak and should watch her mouth, and stormed off before the class was finished. If this had been the first incident one might have thought that he was just having a bad day, however, this was not the first time I witnessed this highly skilled gentleman (and I use the term ‘gentleman’ very loosely here) behave in an erratic fashion. The fact that my teenage daughter is usually in the class with me, thankfully not when this incident occurred, his justification for his behaviour – he didn’t appreciate what she said – and his lack of insight to actually apologise for embarrassing his client and leaving the group to finish the session themselves, made me realise that this would simply not be a good fit. This incident really got me thinking. When and where do we draw the line and cut ties with employees that are highly skilled but lack professionalism and interpersonal skills? Do we wait for the employee to damage client relationships? Or do we simply shift the employee to a role that doesn’t require him or her to interact with clients? Afterall, certain expertise and skills are hard to find and not everyone has great interpersonal skills. If we do move our skilled employee to limit interactions with clients, what about the effect he or she will have on staff morale? The argument for keeping this employee could be that they can develop and coach others. But can you actually risk the contagion – as the saying goes “a bad apple spoils the whole bunch” and toxic behaviour happens to be contagious. My view is that once you have done everything (and I mean everything) you possibly can to coach and train the individual and there is no marked change, it may be time to bite the bullet and assist the employee to find a more suitable environment. Yes, you will be losing the skills, and you will have to go through the sometimes arduous process of recruiting someone that is a better fit. However, the cost of keeping such an individual on will ultimately outweigh the benefits in the long term. That being said, I obviously remain an eternal optimist and do believe that people can change if they have the will to do so. So if you are dealing with a skilled employee that is having a negative impact on the work environment and client relationships, a useful coaching model to apply is the T-GROW model (based on the GROW model of coaching, J. Whitmore). The T-GROW model provides a structure for any conversation, especially difficult ones. 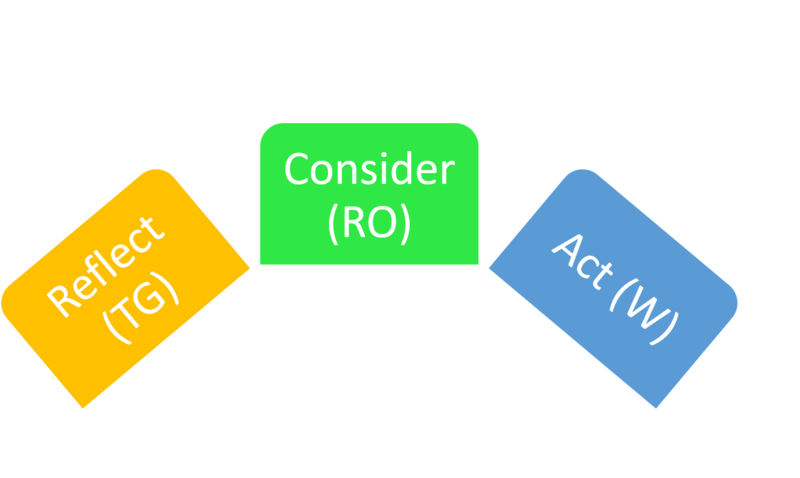 The model ends with action (will) but is preceded by the stages of analysis and choice. What is happening and what could I do about what is happening? The benefits of using such a model are that it puts the employee at the centre of learning and thus engages them at the outset. It also helps consolidate learning and apply it to other situations because it helps address challenges with the person rather than for them. T – Topic What are we going to talk about? G – Goals What do you want to happen? R – Reality What is happening? O – Options What could be done? W – Will What will you do? We recently had an incident that caused a ___________________________. Provide specifics of the incidence. What do you think is the ideal way of ensuring that this doesn’t occur again? Who was involved in the situation? When things went wrong what effect did it have on you? What effect do you think the situation has on others? What actions do you think you can take or behaviours you can put in place to make sure this situation doesn’t arise again? What actions do you think I (manager or supervisor) should take to ensure that this doesn’t recur? How are we going to measure if things are getting better? How do you think we should we measure if things are getting better? What precisely are you going to do – what steps? What could hinder you taking these steps? You may be tempted to let sleeping dogs lie as demonstrated in a McKinsey study, where 59 percent of employees indicated that they would be “delighted” if managers dealt with problem employees, but only 7 percent of those responding to employee surveys believed their companies were actually doing it. It is important to remember that by taking on your negative employee, you send the message in your organisation that you are a strong manager up to the task, and reinforce the positive contributions of your hardworking, positive staff.